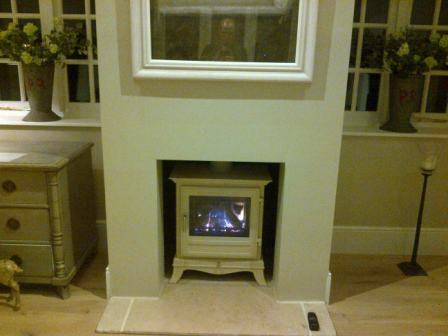 Installation of a Chesney’s Beaumont gas stove in Ivory. As close to a real fire as you can get. The Beaumont is available in either black or parchment to compliment your own home interiors style. Chesneys gas stoves are available in either standard or large and run on natural gas.